Purchase an ECM Service Contract Online! 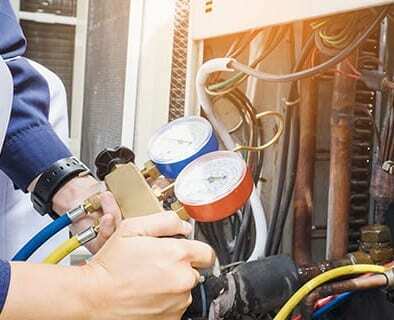 Like an insurance policy to protect your air conditioning, plumbing, electrical and all the major appliances in your home, a home warranty is a renewable service contract. It covers unlimited service, labor and parts for one full year. 100% protection and you pay nothing. If we can’t fix it, we’ll replace it! Now that’s a real guarantee! Relax. Get the right service plan for your needs! There's a 68% chance that one of these major systems will break down in your home this year! A Home Warranty is a service contract that helps protect you against unexpected and expensive repair bills. A service contract covers your air conditioner, plumbing, electrical systems, and your major appliances like your refrigerator, dishwasher, oven/range, microwave, disposal, washer, dryer, and water heater. Our Replacement Warranty is so comprehensive that in the event ECM can’t repair a covered air conditioner, appliance, water heater, or garbage disposal, ECM will replace your covered equipment up to the maximum limit per the terms and conditions. A Home Warranty covers unlimited service calls, unlimited labor and parts to repair any covered equipment. ECM makes it easy, one low monthly fee covers it all. No need to get stressed out trying to find a reputable company that will actually show up on time. View and Compare ECM’s Home Service Contract Plans. Why is a service warranty protection plan? How much does a service contract cost? You have the option to purchase a Service Warranty Protection Plan at any time after your first year manufacturers warranty has expired regardless of the age of your equipment. Coverage is available on your air conditioner, refrigerator, range, dishwasher, water heater, garbage disposal, washer, dryer, plumbing and electrical. What areas does an ECM service contract cover? We are licensed and bonded to perform air conditioning, plumbing, electrical and appliance repairs and installations. We are also licensed by the State of Florida Department of Insurance to sell Service Warranty Protection Plans.